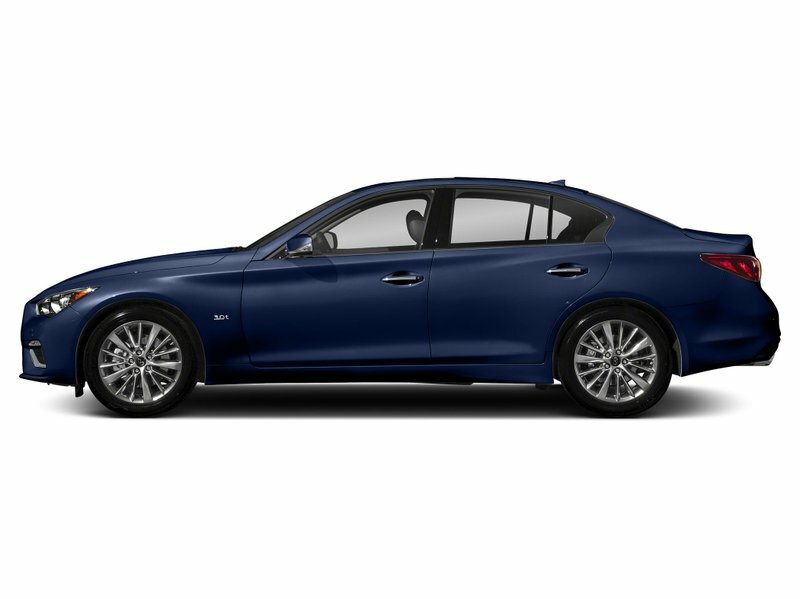 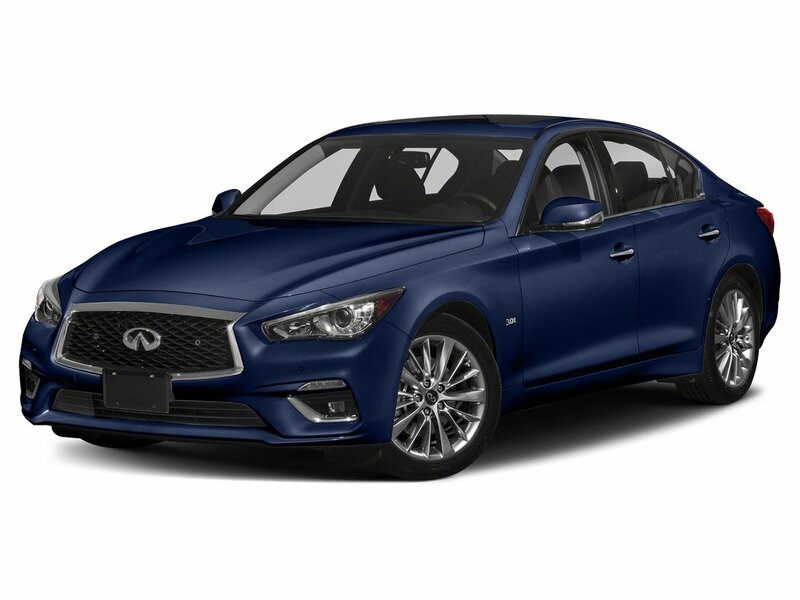 This SIGNATURE Edition 2019 Infiniti Q50 3.0t in Irridium Blue Pearl will excite all of your senses! 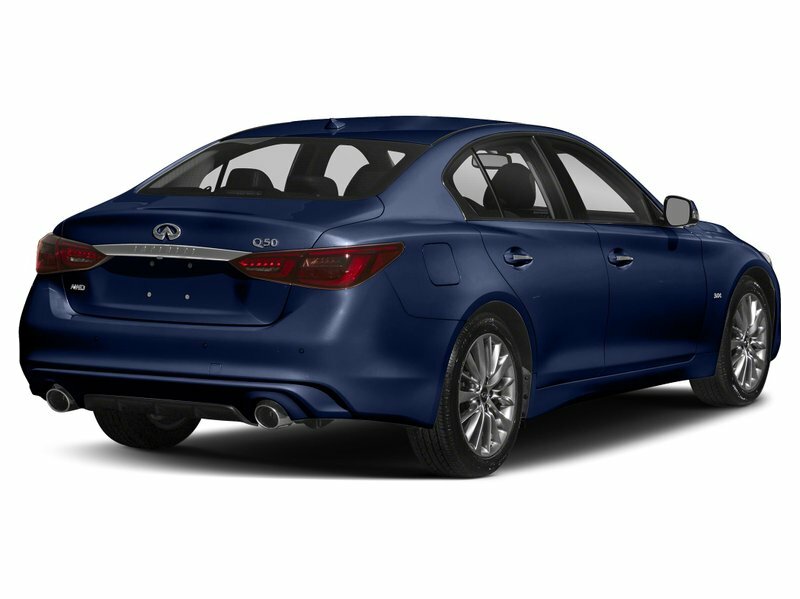 Our All-Wheel Drive luxury sports sedan is moved by a Twin Turbocharged 3.0 Liter 6 Cylinder that generates 300hp on demand. This power is managed with our responsive 7 Speed Automatic with adaptive shift control and rewards you with incredible acceleration and 8.8 L/100 km on the highway in this intelligent All Wheel Drive.